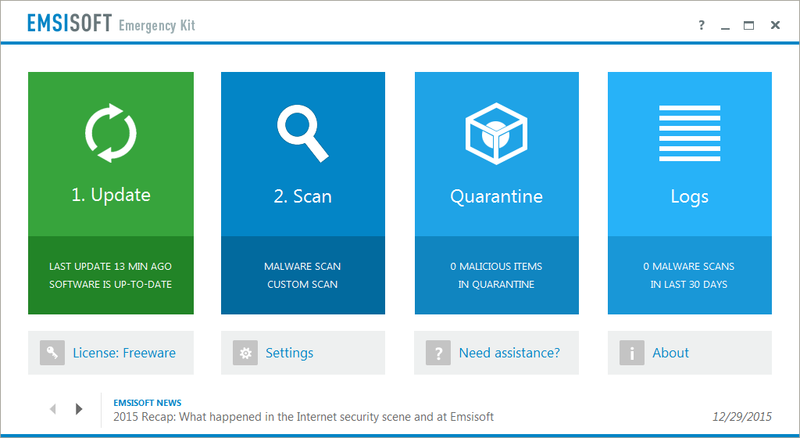 Emsisoft Emergency Kit 11: Free dual-engine cleanup – 100% portable! We’re proud to present Emsisoft Emergency Kit 11, the ultimate malware cleaning toolkit. 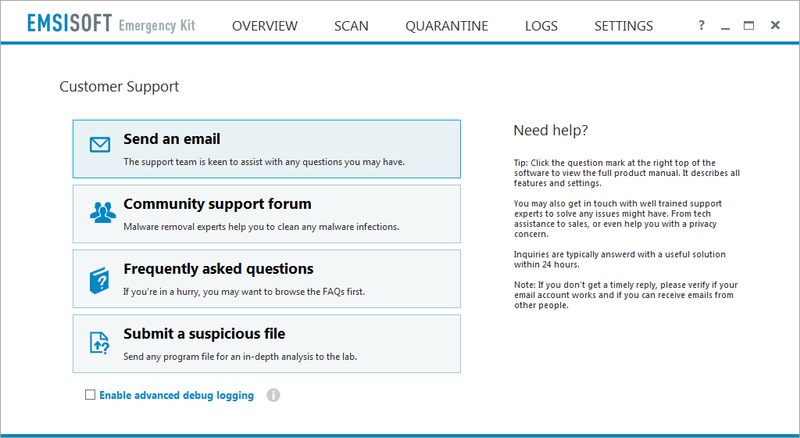 Now with native 64 bit support, it’s still free of charge for private use, and the tool of choice for obtaining a second opinion about any potential infections of your computer. 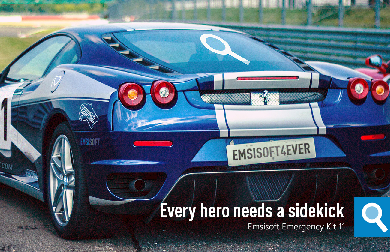 Emsisoft Emergency Kit is probably the fastest second-opinion scanner in the industry. And the best: It’s not just a specialized scanner for specific types of threats; it comes with a fully featured dual-scanner with antivirus, anti-malware and anti-spyware all in one. Potentially Unwanted Programs (PUPs) like browser toolbars or annoying adware modules currently make up about 75% of all infections seen in the wild. Many antivirus products don’t detect and remove them properly because they are often bundling PUPs themselves. Emsisoft follows high ethical standards and would never sell out their customers for quick cash made for example via PUPs. Emsisoft Emergency Kit 11 does not rely on cloud-scanning (files or meta-data is uploaded to some cloud server) like so many second opinion scanners do nowadays. 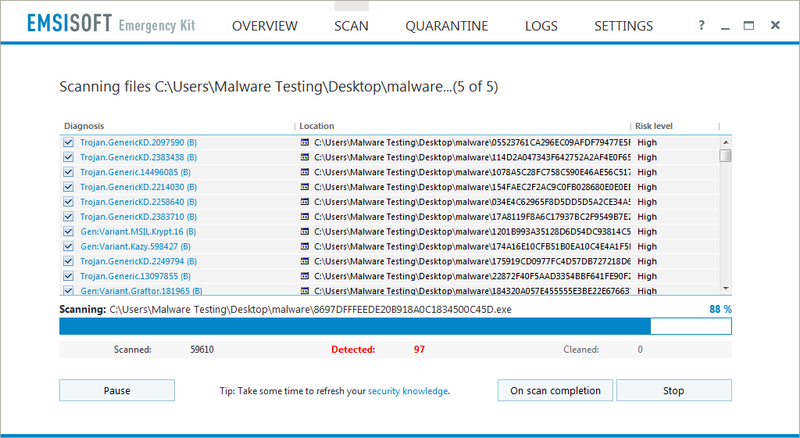 It scans everything locally using millions of malware signatures. 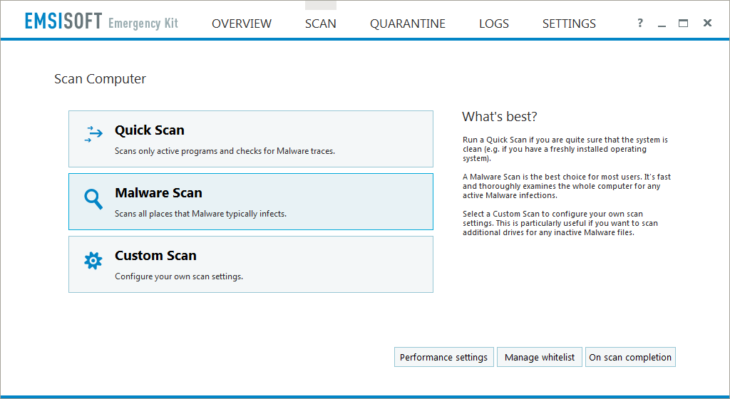 As a result, it can scan while being offline which is often crucial on heavily infected machines and for privacy reasons. Emsisoft Emergency Kit 11 doesn’t install itself deeply onto your operating system, it doesn’t even require any kind of installation. You can just download the package, extract its content to a folder of your choice and run a scan – simple as that. To remove it, simply delete the whole folder and it’s gone. You may want to keep it for future scans though. It is possible to update the Emsisoft Emergency Kit 11 with a simple click, even after months of inactivity. So just put it on a USB flash drive to scan infected computers in case of an emergency – without the need to get online. 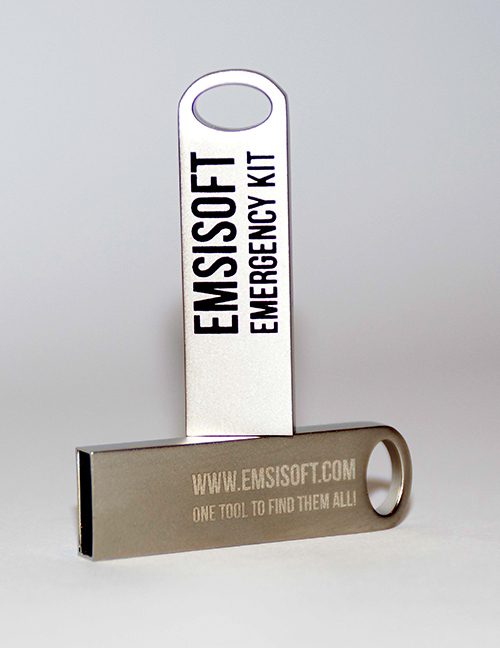 Contents of the Emsisoft Emergency Kit: Just download, extract and start. Version 11 contains both native 32 and 64 bit scanners to make the best possible direct use of the system’s resources. The included starter application automatically selects the right edition based on your operating system. Neat feature: Updating the Emsisoft Emergency Kit 11 on a 64 bit machine will also refresh the 32 bit edition, in case you want to scan an older 32 bit computer later on. Emsisoft Emergency Kit 11 comes with a graphical user interface that suits most users. Additionally, it includes a command line interface for professional computer users that allows you to perform all actions from a command prompt. 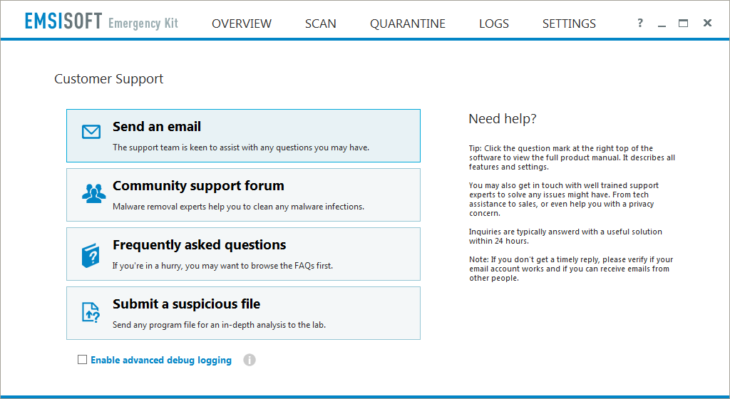 That makes it ideal for automated malware scanning scripts. Emsisoft Commandline Scanner is said to be one of the most sophisticated command line malware scanners available, even offering scans of memory buffers or file handles. Private users don’t require a license. The product is free of charge, as we want to help achieving a malware-free world, even for those who can’t afford buying anti-malware software with real-time prevention. Professionals who sell their services and therefore earn money by using our software need to obtain a license. Please select one of our affordable Emsisoft Emergency Kit Pro license packages. Only US$99 a year buys you a 16 GB USB stick with the software preloaded on it, the license to clean up to 250 machines per year, corporate branding, GUI and Commandline scanners, and as a bonus a 1-year desktop license of Emsisoft Anti-Malware on top! Licenses for 500, 1000, 2000 and 4000 cleaned computers per year are available at reasonable rates too. 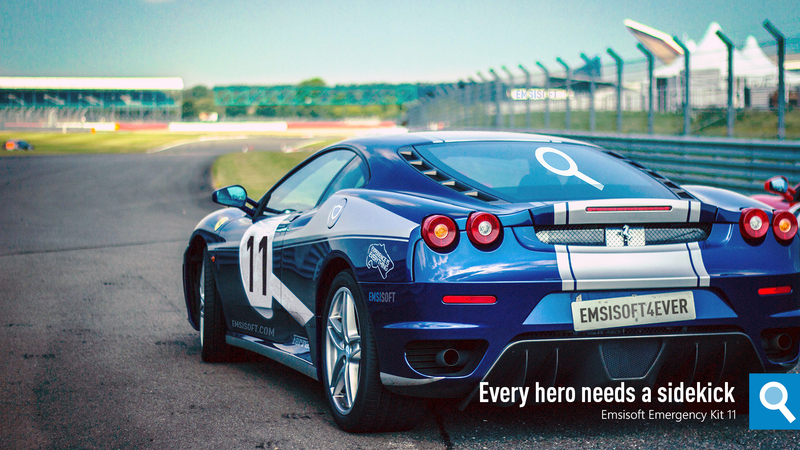 Special treat: Feel free to download our new wallpaper with the Emsisoft themed racing car (1920×1080).